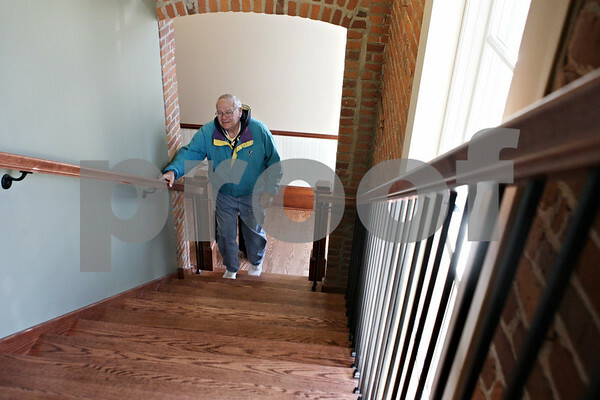 Sycamore resident Jim Ward begins climbing a set of stairs while touring the historical train depot in Sycamore on Saturday, Oct. 27, 2012. Ward's grandparents met for the first time while the train depot was in use. The depot is now home to the DeKalb County Community Foundation.